Featuring free WiFi throughout the property, AM:PM Hostel offers accommodation in Saint Petersburg. Nevskiy Prospekt is only 4-minute walk away. Admiralteyskaya Metro Station is 250 meters away. 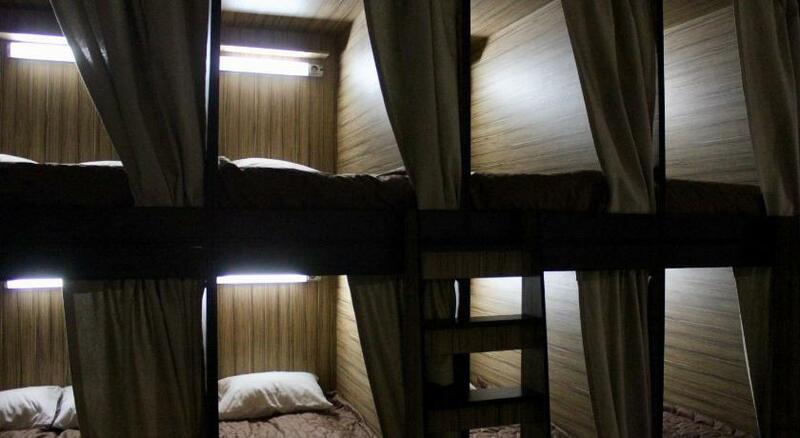 Each capsule is equipped with orthopedic mattresses, socket, lamp, and a locker. Bed linen is provided. Guests can enjoy free coffee and tea at the property. Shared kitchen is equipped with a fridge, oven, microwave and toaster. There are two shared bathrooms at the hostel. Extras include towels, slippers, free toiletries and a hairdryer. Shared lounge features a TV, DVD player and table games. Saint Isaac's Cathedral is 550 metres from AM:PM Hostel, while Admiralty Building is 550 metres away. The nearest airport is Pulkovo Airport, 20 km from AM:PM Hostel.